This classic, well laid out template features a simple 1px border around the edge which continues onto the next page, and sections for a summary, education, career information and references. It is very easy to add additional sections by simply copying and pasting an existing section and renaming the header. The CV template uses Times New Roman font, a stylish choice for a traditional CV - but this is easily changed in Microsoft Word if you prefer another font. CV template with a simple border, smart headers and a basic format	Overall rating:	4.5	out of 5 based on 4	reviews. With a simple 1px border and clearly marked sections, this clean template is perfect for making a good impression. A green title is provided but like all elements, this can easily be modified in Microsoft Word, either to the colour of your choice or to plain black if you prefer. It doesn’t matter whether you are writing a CV for the very first time or if you have years of experience, in today’s world a generic CV just isn’t going to stand out from the competition. On average anywhere between 40-60 applications are made per role, and in some cases more than a hundred. With such a high amount of CV’s being sent for just one role, you can’t afford to use a generic CV that isn’t focused on what the employer is looking for. No matter how well you think you know the role/industry you are applying for, there are always a few differences in what the company is actually looking for. Let’s say for example you were applying for a Sales Executive position for a car dealership and you’ve got plenty of years experience in this role, you’d probably be thinking that you know exactly what should be included in your CV right? Unfortunately your own knowledge is just not enough to get an understanding of what the employer is looking for, and that’s why utilising the job advert itself is a great way to get ahead of the competition. 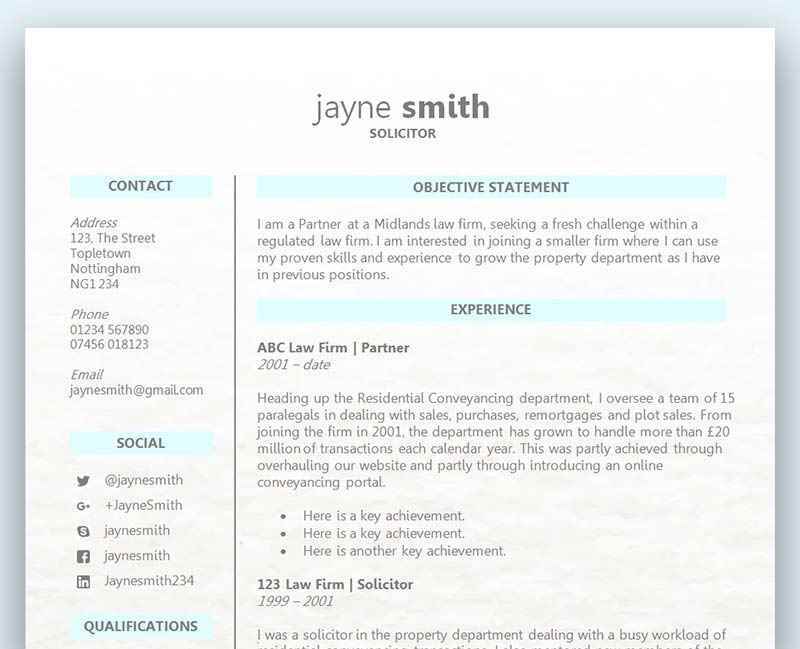 Every important keyword is contained within the advert, and can be used in your own CV. No only are keywords are great way to grab the employer’s attention, it also makes it easier for you to know what they are looking for. Words like ‘great communication skills’, or ‘has experience in a managerial role’, are all great words to use in your own CV to show the reader that you are what they are searching for. Of course, don’t forget to include actual results when you list your previous work history, as there is no point in stating what you can do without actually backing up that claim! For more information on how to do this please click here. A generic CV just won’t cut it! If you’re applying for more than one role then you are very likely to be considering creating just one CV and sending that off to each employer. However, you must create a different CV for each role ensuring it’s tailored specifically to what they are looking for. It doesn’t matter how similar each role is as it’s important to review each advert very closely as described above. A generic CV is not going to stand out to the reader, and you never want to make it hard for the hiring manager to search for the relevant information to prove that you are a worthy candidate. If a particular set of skills, qualifications and/or experience is required then it’s important to highlight your matching credentials and focus very clearly on this when writing your CV. What type of service or product do they offer? How has the company grown over the last few years? There are many more questions to be answered, but you can see the type of information you are looking for to enable you to create a great CV. Don’t forget to also do some research on the role, which could involve a call to the company to find out. Don’t be afraid of speaking to the hiring manager to find out more information, as this is not only a great way of gaining some inside knowledge, but you might also leave a positive impression on the manager who is then going to read your CV.